This women's Irish t-shirt is available in limited sizes. I’m the Irishwoman your mother warned you about is pigment dyed on this 100% cotton, pine green color, Irish t-shirt. 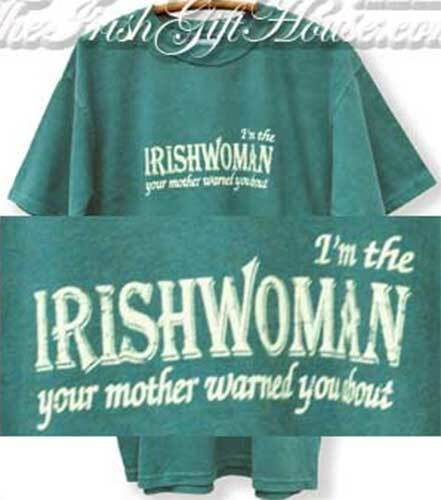 This Irish t-shirt for women from The Irish Gift House is gently weathered for that favorite shirt feel. The Irish t-shirt features an over seam stitched collar along with double stitch hems.